Heat meatballs according to package directions. 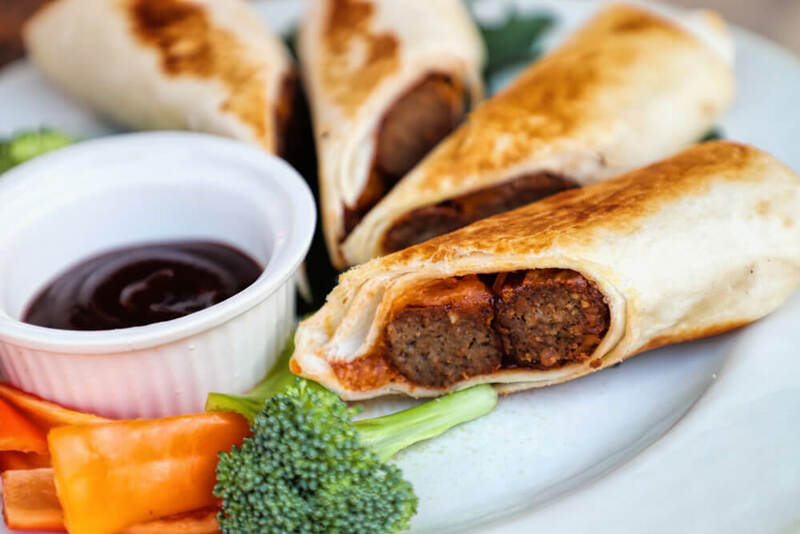 Place 3 meatballs on top of the BBQ sauce – lengthwise across the tortilla. Sprinkle the cheese over the meatballs. Roll the tortilla up – egg roll style. Heat olive oil in a sauté pan. Place the rolled tortilla in the hot pan – seam side down to help seal the tortilla. Roll the tortilla over to lightly brown the top. Place the cooked tortilla roll on a platter with dipping sauce and assorted vegetables.